Our color imaging technology allows to reproduce your custom logos on our white cookie tin lids. Whether for companies, sports teams, schools, or any other organization, all we need is a high-resolution file of your logo and we can image it on our promotional cookie tins. If you need PMS color matching for your custom logo cookie tins, we can do that too. Please note, you must own or have rights to use the logo you wish us to image. 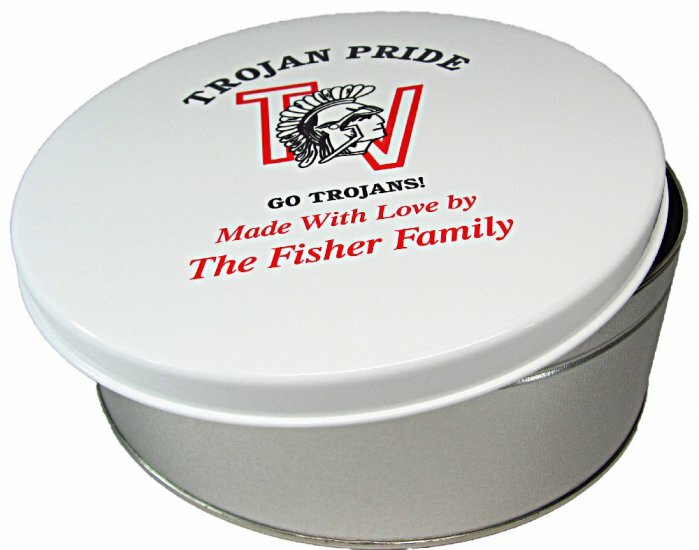 Please contact customer service at 800-332-2707 to learn more about setting up designs for these promotional cookie tins.